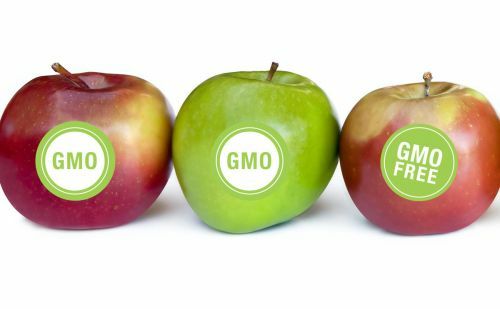 AKIPRESS.COM - As a result of the increased production of genetically modified crops worldwide, the United Nations food agency warns in a ground-breaking survey that an increasing number of incidents of low levels of genetically modified organisms (GMOs) are being reported in traded food and feed. “The incidents have led to trade disruptions between countries with shipments of grain, cereal and other crops being blocked by importing countries and destroyed or returned to the country of origin,” said the Food and Agriculture Organization (FAO) in a news release, explaining that with no international agreement defining or quantifying “low levels”, interpretation varies from country to country. In some countries, it is interpreted as any level at which detection is possible, meaning very low or “trace levels” while in other countries case-by-case decisions are taken on what level is acceptable. These variable standards are why some importing countries are legally obligated to reject certain shipments that were perfectly legal in the exporting country. FAO surveyed a total of 75 States on questions on low levels of GM crops in international food and animal feed trade. Respondents reported 198 such incidents between 2002 and 2012, with a steep acceleration after 2009. "The numbers of incidents are small relative to the millions of tonnes of food and feed traded every day," said Renata Clarke, FAO Senior Food Safety Officer in charge of the survey. "But because trade disruptions may be very costly, and given the reported increase in the occurrence of these disruptions, FAO conducted this survey and is holding a technical consultation to try to start a dialogue between countries on the issue," she stressed. The first-ever survey also revealed that the highest number of incidents involved linseed, rice, maize and papaya, and that shipments with low levels of GM crops originated mainly from the US, Canada and China, among other countries. Once detected most shipments are destroyed or returned to sender. "We were surprised to see incidents from every region," Ms. Clarke said. "It seems the more testing and more monitoring they do, the more incidents they find." The survey explains that 37 out of 75 countries responded that they have little to no capacity to detect GMOs, meaning that “they don't have the laboratories, technicians, and equipment to do so." As testing technology is more sensitive now, “many countries have asked FAO to help improve their capacity to detect GMOs." The survey results are to be discussed at an FAO-led technical consultation in Rome on 20 and 21 March, to review the extent and pattern of trade disruptions caused by the contaminated shipments. The meeting will discuss trade issues related to low levels of GM crops, but will not debate pros and cons of GM crops, FAO stressed in the news release. "In the survey, countries also asked us to help them assess whether GM crops are safe to eat and we would like to see countries sharing any scientific findings they have on the subject," said Ms. Clarke, adding that a platform had been established for that purpose.